I know this is coming a bit late, but I wanted to be sure before making a post on it. It's no more news that the Etisalat unlimited free browsing tweak has stopped working on both TweakWare and Stark VPN. Am pretty sure many of you rocked it for the short time it lasted. Although the Etisalat remote Tweak is no more, the Etisalat chatpack tweak and 60mb daily N0 tweak are still blazing. And if you feel those options aren't okay for you, then you can try out the Glo N0 tweak which is still blazing hot. 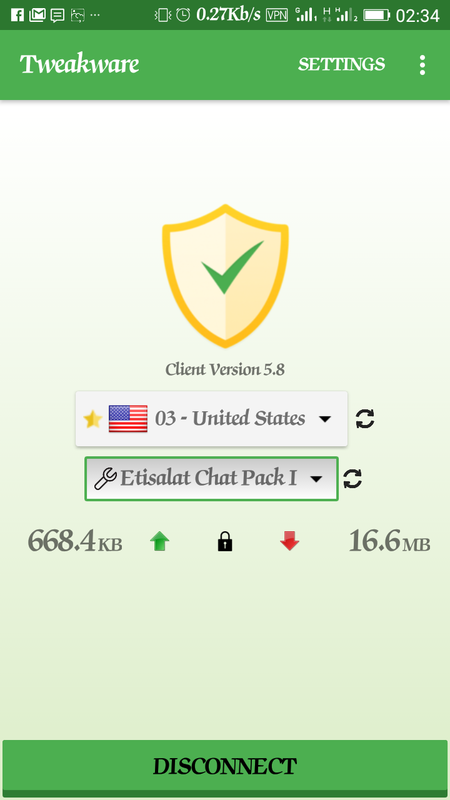 Below is the detailed instruction on how to configure the Etisalat or Glo tweak using TweakWare or Stark VPN. >> TweakWare VPN or Stark VPN. >> First, make sure you use your phone's default APN. >> If you don't have your VPN already, download TweakWare VPN here, or Stark VPN here. >> Make sure you have at least N150 in your Etisalat sim, then dial *200*3*3*1*2*1# to subscribe for the eti chat pack weekly plan. Note: Remember to Dial *343*5*0# to opt out of auto renewal, if you don't want it to auto renew every week. >> Launch the TweakWare VPN app and select any of the Available servers ( choose only from the Free servers unless you have a premium account). >>You can also launch your Stark VPN and select any of the available servers. >> Select "Eti ChatPack 2017" from the tweak list. >> After that, just click on connect and wait a few seconds for it to connect. That's all guys, if you are not okay with the eti N0 60mb daily tweak, then this is a better alternative. The settings is almost the same, but there is no need to subscribe to any plan. Just select any server, the tweak you want to use and connect. If you encounter any problem at all, just drop it in the comment section below and I will try to help out. Also, if you find this post helpful don't forget to kindly share it on your social media platforms.